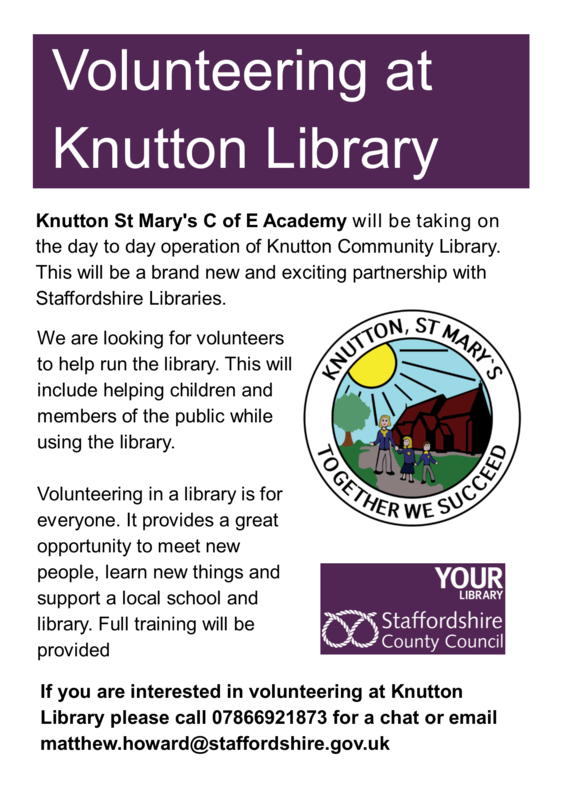 We are proud to support Knutton St Mary’s Primary School as they take over responsibility for the day to day running of Knutton Library in partnership with Staffordshire Libraries. This important local amenity will be maintained within the community for everyone to share, but they need volunteers to help. If you are interested in supporting this venture please see below.